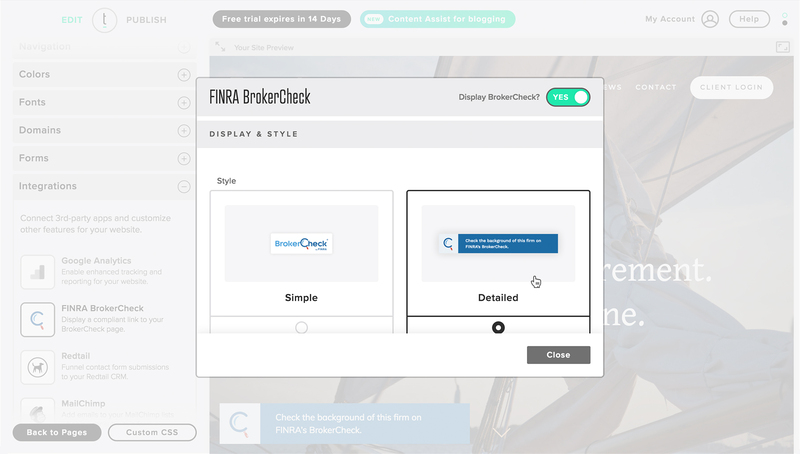 We’ve listened to what our users come to expect of their website provider and we are excited to announce our new, one-click FINRA BrokerCheck integration! This new integration for Twenty Over Ten users allows advisors to quickly and easily add a FINRA BrokerCheck widget to their website that is both compliant and efficient. To help firms satisfy FINRA requirements, we’re providing even more tools to our users to stay compliant while providing your site visitors with a seamless, tailored experience. 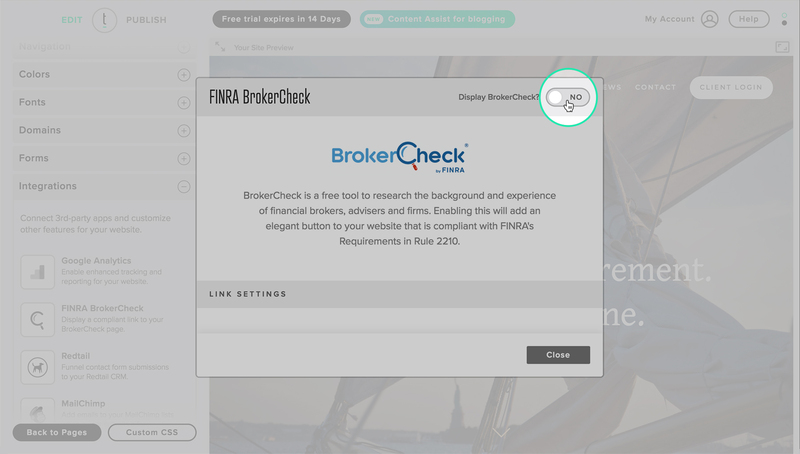 Using the BrokerCheck widget on your advisor website satisfies FINRA Rule 2210 (Communications with the Public). 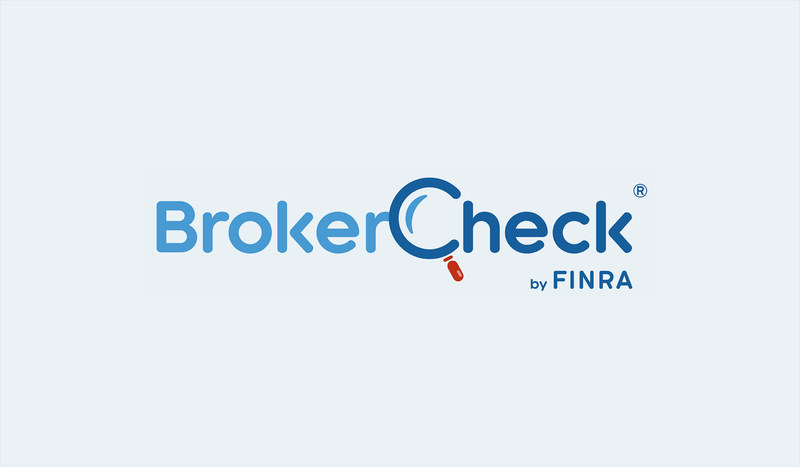 Not only does using the BrokerCheck widget on your site satisfy FINRA requirements but it also helps limit confusion between registered representatives with similar names at other firms, and also minimizes the risk of selecting a representative at a different firm. Once deployed on your website, visitors can click the BrokerCheck icon and they will be linked directly to a registered person’s BrokerCheck profile. When a user enables the BrokerCheck feature within the integrations panel, you have the ability to customize the display, style and even colors of the widget. First, choose your style: Simple or Detailed. Next, choose your preferred positioning to better suit your website design. 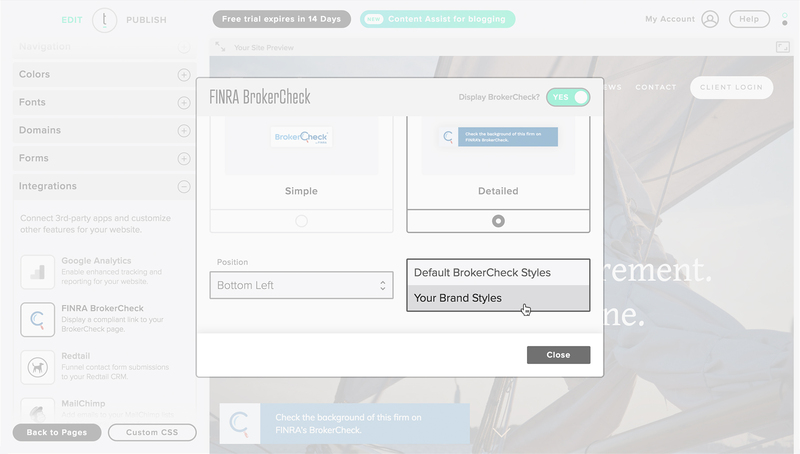 Additionally, you can choose to incorporate your brand colors or simply use the default FINRA BrokerCheck colors. 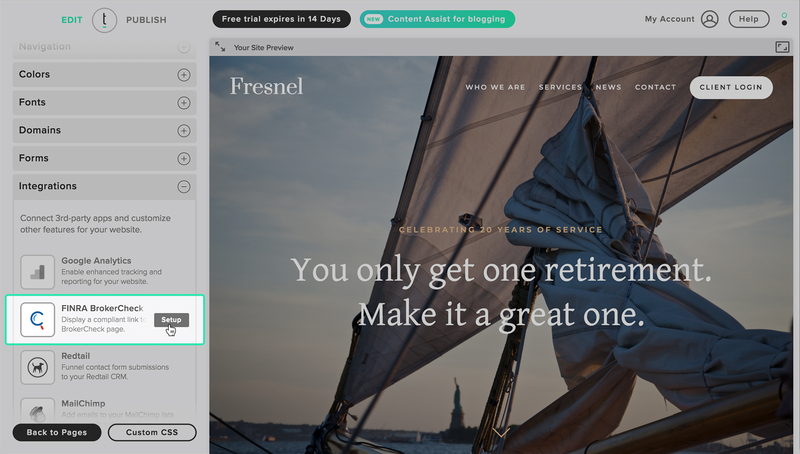 Your website’s BrokerCheck widget will now seamlessly fit the aesthetic of your site. Plenty of customizable options to provide a more tailored user experience! Twenty Over Ten’s FINRA BrokerCheck integration is built right into our platform. Meaning, it does not require any additional plugins or messy code injections and is available to all current Twenty Over Ten users and Providence users. Users can enable FINRA BrokerCheck on their website’s by going to Site Settings > Integrations > FINRA BrokerCheck.